With a durable design that combines soft, breathable merino wool with durable nylon and stretchy LYCRA®, the Hike Medium Crew offers up breathable, odor-resistant comfort in a versatile, fully cushioned construction that’s perfect for trail outings of any length. The reinforced toe and heel areas and strategic, doubled-up cushioning provide long-term durability, while the seamless toe reduces bulk and prevents blisters. 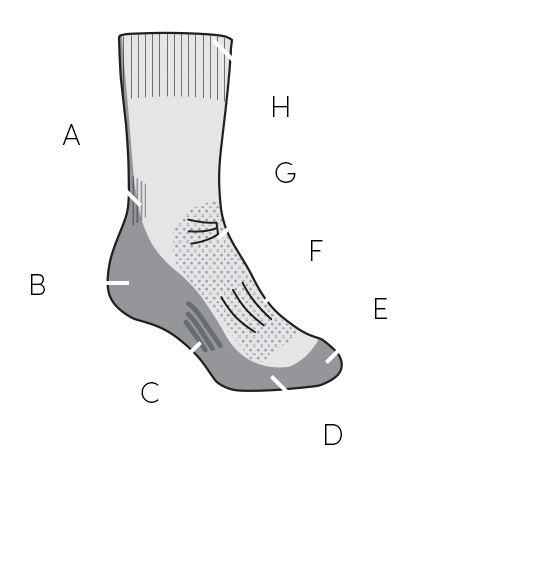 These socks also feature key support and breathe zones to keep you comfortable on the trail.